One of Prime Minister Narendra Modi's key electoral promises was a high speed rail network. And this is a promise he intends to keep. One of Prime Minister Narendra Modi's key electoral promises was a high speed rail network. And this is a promise he intends to keep. Over the past couple of years, concrete steps have been taken in that direction. If the rail budget in 2016 laid further groundwork necessary for the ambitious bullet train project, Budget 2017 did one better: Rs 18,000 crore was allocated to upgrade the Delhi-Mumbai and Delhi-Howrah corridors to allow trains to run at 160 kmph, against 70-90 kmph currently. But the best is apparently to come. A top rail ministry official has told The Economic Times that the Indian Railways is set to announce a massive Rs 10 lakh-crore plan to construct high-speed train corridors connecting all the major cities next month. Covering almost 10,000 kilometres, the new rail lines will allow trains to run at 200 kmph. The Railways is reportedly also exploring options such as building single pillar, two track elevated corridors on top of existing/upcoming national highways or building the new rail lines parallel to existing rail routes on railway land to reduce the cost of construction. In fact, the aim is to halve it from Rs 200 crore per km to Rs 100 crore per km. Railway minister Piyush Goyal has asked his officials to work on speed, scale and skill to achieve early implementation of these projects. The upcoming announcement will not only unveil the routes to be connected but also the funding mechanism. According to the report, loans from financial institutions and multilateral agencies along with monetising land bank will likely take care of that. 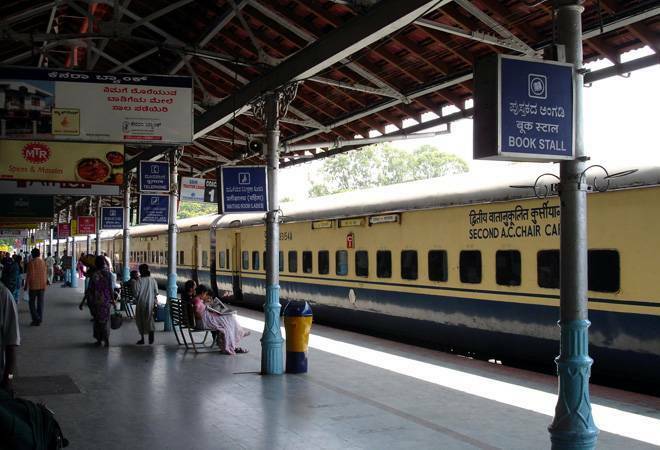 The Indian Railways is also expected to roll out large tenders, inviting global majors. Of course, high speed rail lines also need new trains. Currently, the fastest train in India is Gatiman Express, which runs at a speed of 160 kmph between Delhi and Agra. Coming soon - as early as June according to media reports - is the first Train 18 that will run just as fast. This set eventually aims to replace the Shatabdi trains and will pack 'world-class' passenger amenities such as GPS-based passenger information system, on-board Wi-Fi and infotainment, automatic sliding doors and zero discharge vacuum-based bio-toilets. Another train set called Train 20 is expected to follow in 2020, to replace the Rajdhani trains plying on longer routes. The only difference between these new trains is that Train 20 will have an aluminium body while Train 18 will have stainless steel body. Then there is India's first bullet train between Mumbai and Ahmedabad that is scheduled for 2022. All this is great news for world's fourth largest railways, long bogged down by adjectives like slow, tardy, dirty, and worse.